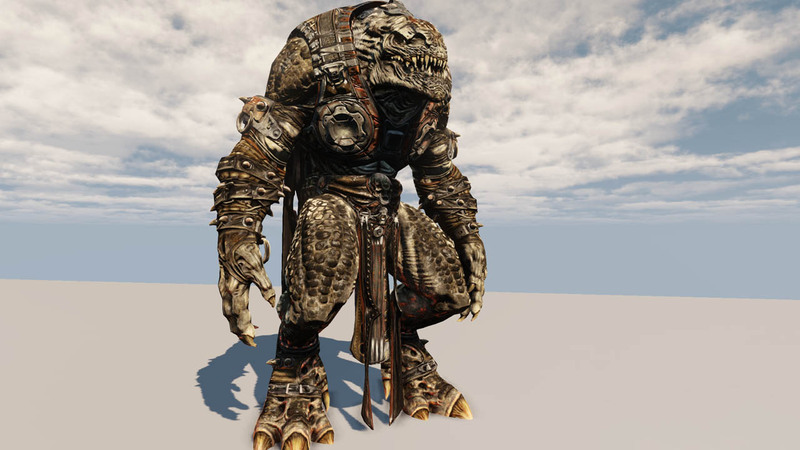 The Expert Classes: UDK Asset Development – Part 2 is the continuation of the first Asset Development video, and like the first video dives deep into the depths of texturing and modeling in Unreal Engine 3/UDK. This second video focuses entirely on textures and materials, and aims to make you production ready. The video starts off with a detailed look at how textures are best imported, set up, and optimized within the engine. 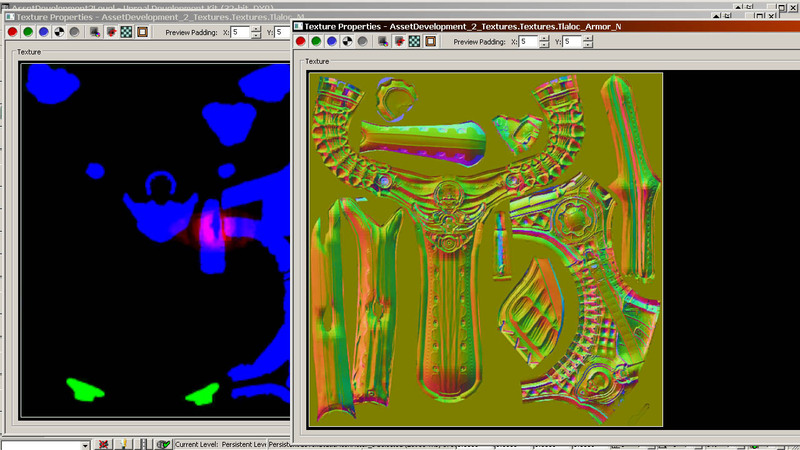 While importing a texture into the engine is not that difficult, doing it correctly and in a way suitable for production is something that is found little information on. Years of working in Unreal and having gone through many thousands of assets over the years taught me the knowledge contained in this video. 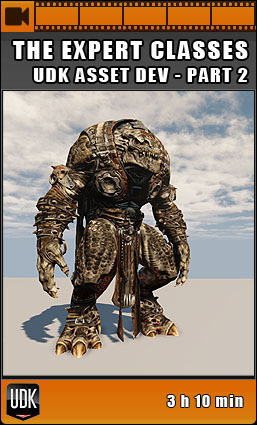 It will learn you how to set it all up correctly, and how to greatly decrease the memory consumption of your textures. 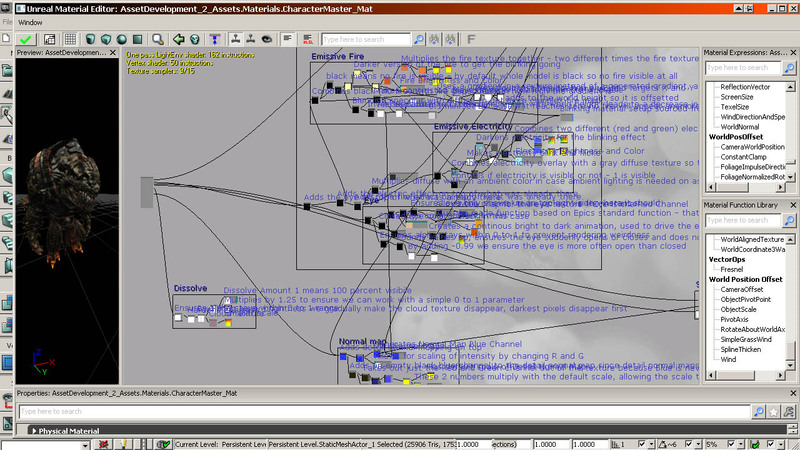 The second half of the video focuses on complex materials. 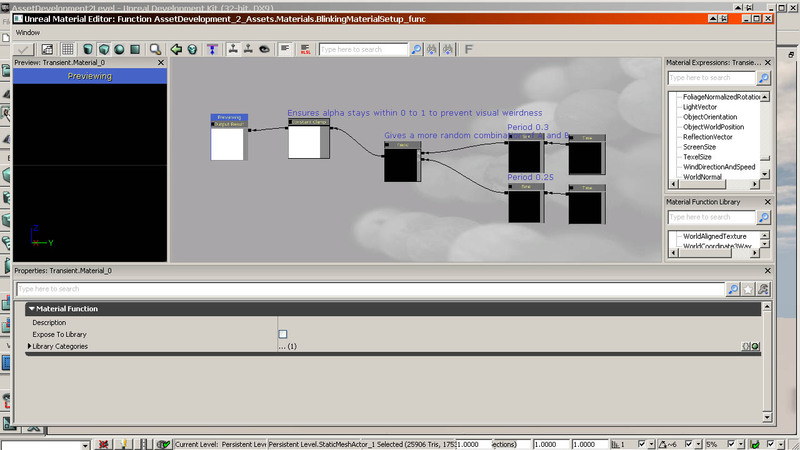 Continuing on the material introduction of the first video, this Part 2 focuses on how to set up a large and complex material expression network for the monster used in the video. 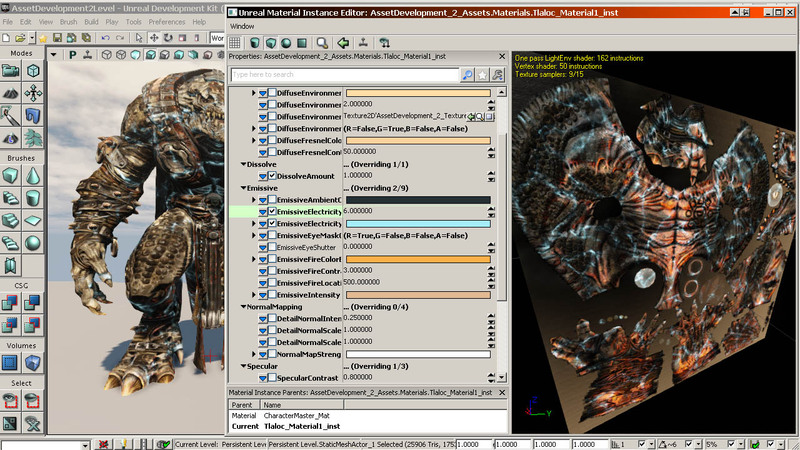 Besides adding in reflections, fresnel, and animating its eyes, the video also shows how to add in support for electrocution, how to make the material support dissolving, and how to burn the monster when it goes underneath Z 0.000, along with a material instance and material function workflow. The complex finished material is delivered as part of the video, and is fully commented for your reference. The video comes with two of The Ball’s complex character models, created by Benjamin Erdt. One character is used in the video as example. The other character is to be set up as assignment, to repeat the lessons learned in the video.